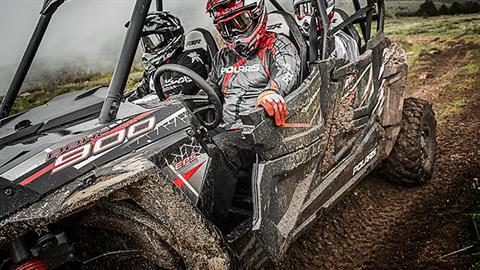 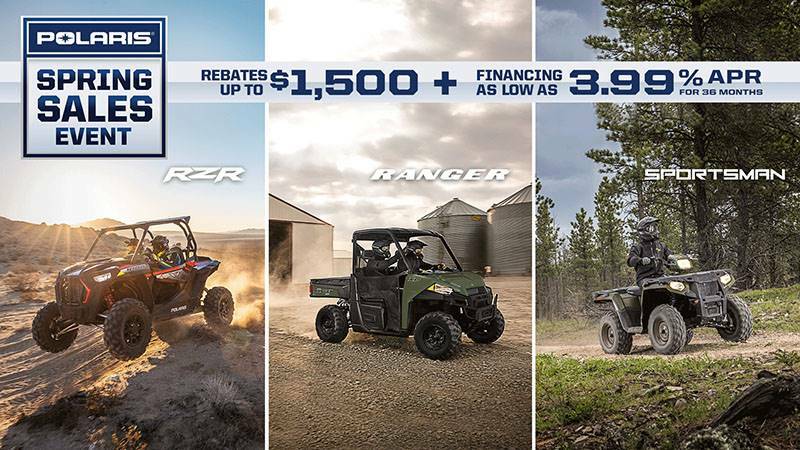 Share the RZR® off-road experience with friends and family. 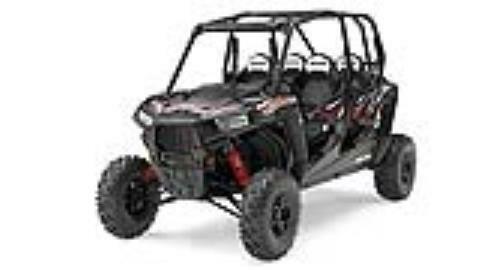 27” GBC DIRT COMMANDER TIRES: 27" GBC Dirt Commander 8-ply tires offer better side bite, stiffer sidewalls, better tracking through corners and increased durability. OPTIMIZED DRIVER POSITIONING: For better driver positioning, the RZR® 4 900 features an adjustable seat slider and new seat angle for a more comfortable driving experience. 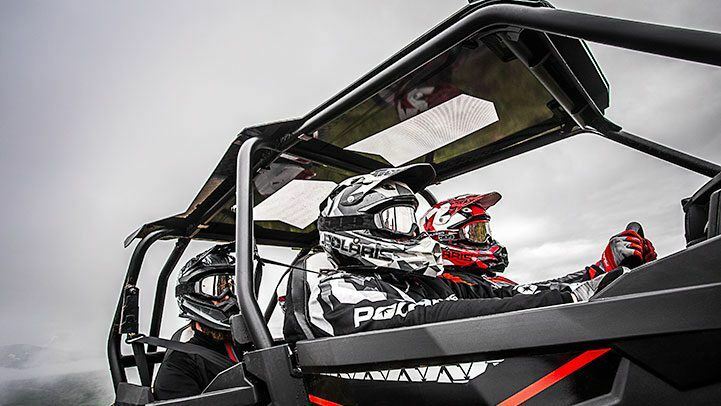 The angle situates the driver closer to the steering wheel bringing the elbows closer to the body for less arm fatigue and a more natural driving position. COMFORTABLE AND CONVENIENT INTERIOR: The RZR® 4 900 provides plenty of room to get in and get out and ample leg room for all day comfort when navigating the trail. 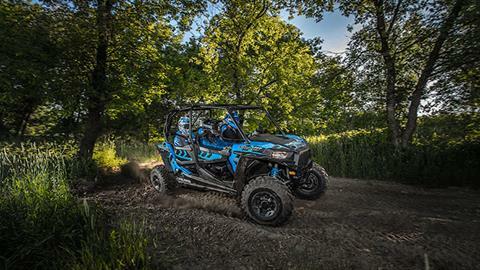 The cab features bolstered seats with thin-film material to keep occupants drier, adjustable tilt steering, space-optimized foot rests, rear passenger knee pads and grab bar, and factory-installed quarter doors that keep the occupants planted and secure. Additionally, removable floor drains allow you to wash out debris and mud quickly and easily. 75 HP PROSTAR ® 900 ENGINE: The 75 HP ProStar® 900 Engine is specifically tuned to provide maximum power without compromising drivability for RAZOR SHARP PERFORMANCE® with hallmark ProStar® features like dual overhead cams, 4 valves per cylinder and electronic fuel injection. 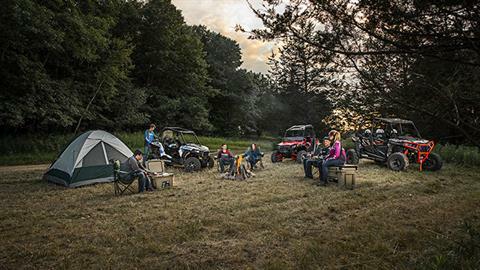 LONG WHEELBASE FOR A SMOOTH RIDE: A long 106.5" wheelbase gives you a smooth, well balanced ride for you and your passengers. 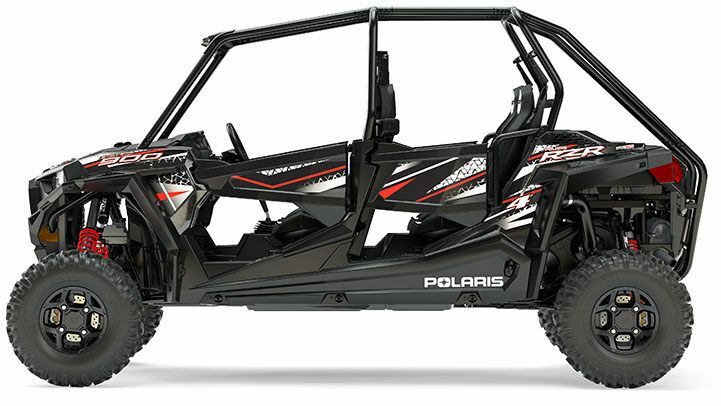 RIGID FRAME TO ABSORB THE OFF-ROAD: The tubular frame and added rear pillars increase frame rigidity, allowing the suspension to absorb shock instead of you, resulting in a more consistent suspension performance. 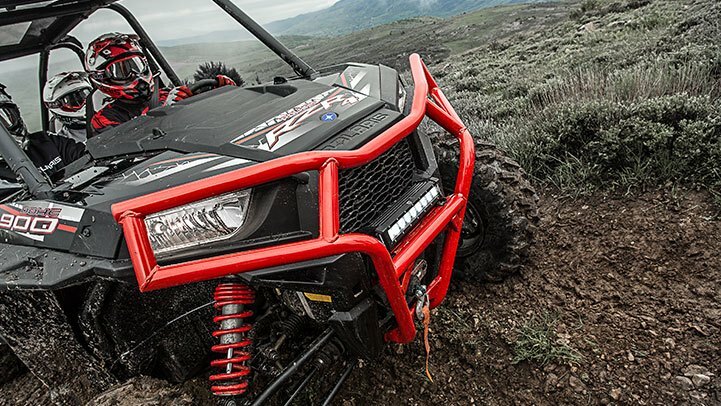 SUSPERIOR SUSPENSION FOR THE TRAIL: With 12.25" of front suspension travel and 13.2" in the rear, and FOX® Performance Series - 2.0 Podium X shocks, the RZR® 4 900 suspension not only gives you superior travel for a smooth ride, it gives packs it into a 60" width, giving you nimble sport performance ready to tackle the trail.